I’m preparing a talk for our local WordPress MeetUp on January 6, 2016. You’ll learn why WordPress is getting a REST API, why it’s in JSON format, and what do all these acronyms mean. Why it’s important for WordPress to have an API. What is CRUD, REST, JSON, and how to interface with a REST API. WordPress started as an open-source blogging tool. The introduction of custom post types meant WordPress could be used as a full-fledged content management system. 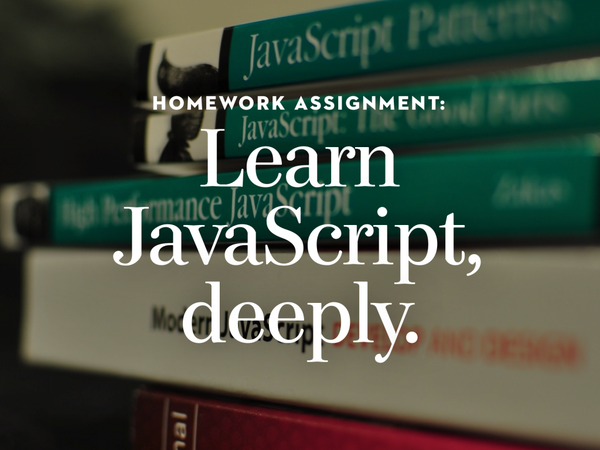 The JSON REST API is a new opportunity for WordPress to become a web application platform. 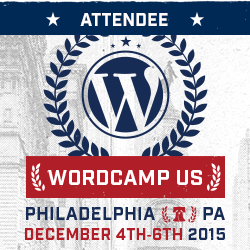 Come learn about the future of WordPress web development. See you there. WordPress Dev Seacoast Meetup, January 6, 2014. The new Calypso app for Mac was built for WordPress using React, Flux and node.js. Another day of great people and interesting conversations. Lunch was amazing today, for a conference. BBQ chicken, beef brisket, corn bread! Soda! Not just water, ha. The after-party at Lucky Strike bowling alley was perfect. Open bar, catered food, fun people, though I couldn’t find the ping pong tables. I wanted to challenge Derek Smart (Automattic Table Tennis Champion) to a game. Make WP_CLI Work For You: Extending WP-CLI With Custom Commands: A talk about writing code to build tools to build websites. Geek heaven. If you’re not using WP-CLI, get started. Gamify WP: A fun talk on gamification, and how a developer Automattic used the technique to motivate people to test using Calypso to write blog posts. High Performance WP: A quick talk on all the things one should do. Yes, I need a better checklist. Low Tech is Future of WP: Another solid talk by Eric Mann now how slow WIFI, slow internet connections are an opportunity for WordPress websites. And l learned Chrome Development Tools can mimic a slow connection for testing. HTTP API: Use REST, CRUD in communication with 3rd party APIs? WordPress has built in functions to make this stuff easier to use. WP and Museums, Mel Choyce: A great 2 person talk with a client and a developer and their approach in putting together a website for a museum collection with 40,000 potential pieces of data. These case study talks are great. WP for Enterprise, Taylor Lovett: 10up has the best employees, and they give away their best practices. Cool company. State of the Word: Matt Mullenwegg maps out the potential future of WordPress. Great stuff. Watch this. From the beginning, this WordCamp US felt a little different than the WordCamps I’ve attended previously. Many people I’d seen as speakers previously were attendees. Many popular WordPress twitter folks and bloggers were there, just walking around. The topics of the talks seem higher level, more for developers and there was a lot of ‘I wish I could be at 3 talks at once’. The attendees were friendly and every person I spoke to had something interesting to say about their work with WordPress. All the organizers were kept solving problems, especially when the WIFI was overwhelmed in the first few hours of the conference. Volunteers were everywhere and also helpful. Philadelphia is a great city. Easy access to downtown via Septa train from the airport, AirBnb rentals were plentiful if hotels aren’t your thing. We stayed in the Rittenhouse Square neighborhood just SE of downtown. An easy walk to the conference. My new favorite hangout in Philadelphia is Monk’s Cafe, an excellent Belgian Beer bar with great food too. Heaven. Downtown has some amazing architecture, interesting sculptures, great food and drink. Even the restaurant staff were down-to-earth in the city, though you felt like you were in Manhattan. Curing a Critical Security Bug: This talk was about the MySQL vulnerability fixed earlier this year. It feels good to know such experts are working on core. WordPress + The Internet of Things: Lots of opportunities for WordPress here, and RC Lations always give a great talk. How does he stay so chill all the time? Must be that clean Maine living. The Future Stack: Runnning WordPress with Tomorrow’s Technologies: This covered Http/2, php7, CSS4, Free SSL, JS2015. Very fun presentation, and the talk made potentially dry material very interesting. Short take is that WordPress is ready for all the changes coming down the road. REST in Action: The Live Coverage Platform at the NYTimes: This talk was a bit of a disappointment since the title topic was only covered in the last 5 minutes of the talk, and no technical tips, no time for questions. I think the speaker was busy making sure WordPress 4.4 would get out the door 3 days later as its lead developer, so it’s understandable. A great first day, and I still need to see the talk by Nacin. Always listen to Nacin. Cheers, and off to Monk’s Cafe. Time to write some code.